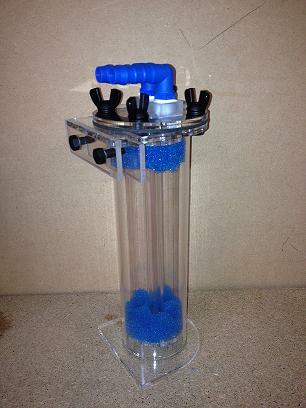 Our friends at Fistafiltration are showing off their new Nano Reactor, which is designed to hold solid carbon biopellets for your reef aquarium. The reactors can be configured to hold any type of media, including pellets and Purigen. Manufactured in the UK and available in most of Europe, the reactor is rated for up to 100 liter aquariums and can very easily be set up as a Hang On Back (HOB) reactor. If you’re interested in one of these units, contact David at Fista.